Back with one more informative post for my readers and friends . Today I will share some Best Blogging Tips , which I have learned in my blogging Journey and which is surely going to help all Specially the budding bloggers . It’s Quality that matters . So write quality content . Some are expert in a particular field , try to write on that area’s or topics where you master and have in depth knowledge . Even if you are not master in a particular topic , try to read and collect good information on topic you are going to write . That will make you Stand Out in the Crowd . This is an important aspect , We need to ask our readers do email subscription for our blog so that they get notified when a new post is up .And they can come back and check our latest posts . Try to find and fix your website issues if any like sometimes website loading time is more or some other issues like readers are unable to post comments at the end of blog posts etc . Try to fix these technical issues , one can take help from some YouTube tutorials or other websites. Social media presence and influence is one of the Most Important aspect of growing our reader base. By sharing our blog posts on social media we are promoting it and making a good reader base . One can be active on various social media sites like Facebook , Twitter , Instagram , Pinterest , Roposo etc . Many bloggers do write for SEO but what I feel and many others feel that we should write for our readers , not for Google or SEO as it’s our readers that helps to grow our blog and make it successful or famous . We should write what our readers want to read . Write true & real reviews , not the fake ones or something which readers can easily figure out that it’s not real . Specially in case of Beauty & Lifestyle Bloggers when they are writing product reviews or website reviews try to write your own experience , So that readers will find it useful and genuine . This builds Trust among readers and they come back again and again to check more reviews . Well there are various means to increase blog traffic. * Visiting and Commenting on others blog. * Sharing your posts on Whatsapp groups , Facebook groups etc . * Using Killer Keywords so that your blog gets higher rank on Google . Blogging needs lots of patience and perseverance . One needs to be active and write regularly . Write on some good topics related to the Niche of your blog . Participate in various blogging contests to have fun and learn from each & every experience . We need to grow with our blog . We need to update ourselves with latest trends & technology so that we are in pace with others and do not lag behind . This requires lots of reading and research . We need to know what other’s are doing , we need to constantly upgrade our blog and blogging skills to Survive and grow in this blogging world . 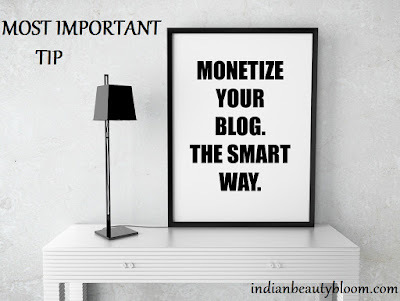 This is again an important aspect of blogging as we really want to earn good from our blog . There are various ways to monetize a blog . * Sign for Google Adsense . * Do some affiliate marketing . * Doing Sponsored & Paid posts . * Selling something from your blog like ebooks etc . Try the ones which works for you . 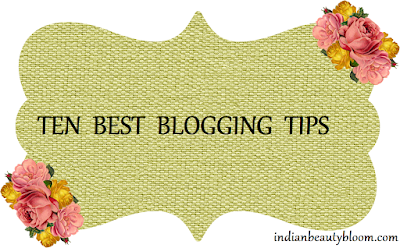 So these are the blogging tips and tricks which I have learned with course of time . Would like to read others tips too . and should not be repurposed , republished or used otherwise . The content herein is own by the blogger and Superbloggerchallenge is not responsible for any sort of infringement caused.